Local real estate has been heating up! 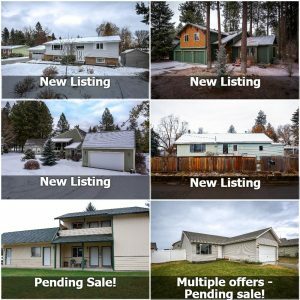 No need to wait until spring to buy or sell – properties are hitting the market every day and they are getting sold. There’s no need to wait until the snow melts to start your real estate process. Yes – we sell houses during snow storms! All while getting 6-10 inches of snow. Plus, our Buyer Specialists got 3 new clients under contract to buy their future homes!